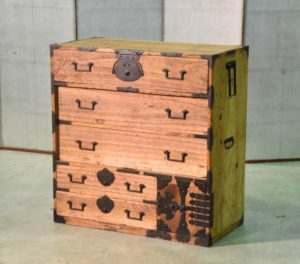 A traditional Japanese 2 section Kimono Chest (Isho Dansu). Easy to slide drawers that are deep, you could use as bedside chest or a low sideboard. SKU: 13391. Categories: Chests, Clothing Chests, New Arrivals. Tag: japanese solid wooden furniture.